We started off at Tony's Place at 0830 Hr for a bike ride to Talat Rong Pet in Bang Sai. We followed the main road to Sena and continued about 8 Km further west until Wat Bang Sai Nai, where we made a refreshment stop. At Wat Bang Sai Nai we drove east along Khlong Chao Chet until the old duck farm. 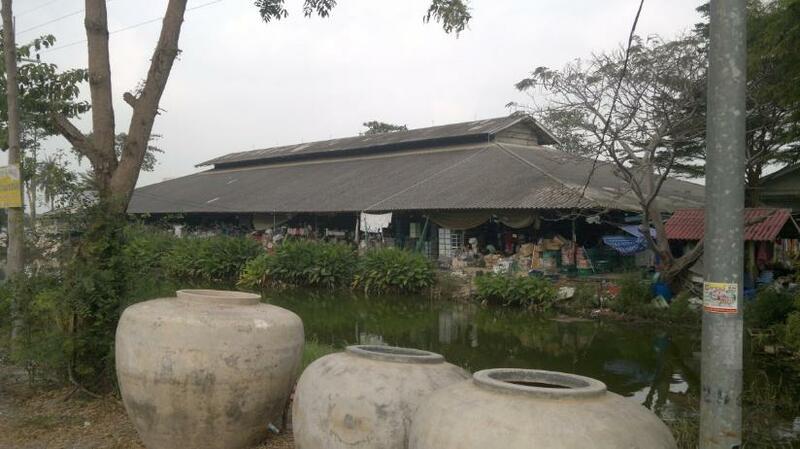 We visited the market and then returned to Ayutthaya. We arrived at Wat Mae Nang Plum at 1210 Hr. The weather was cloudy and partly rainy. Temperature was around 26.1 C with a E wind of 10 Km/hr. Humidity was at 94%. (Source: VTBD). Technical data of the trip was as follows: Total Distance: 66.83 Km; Max Speed 35.1 Km/Hr; Moving Average: 20.5 Km/Hr; Overall Average: 16.8 Km/Hr; Moving time: 3 Hr 15 Min. Stopped time: 43 Min. Overall Time: 3 Hr 58 Min.